Emek has completed yet another incredible concert poster. 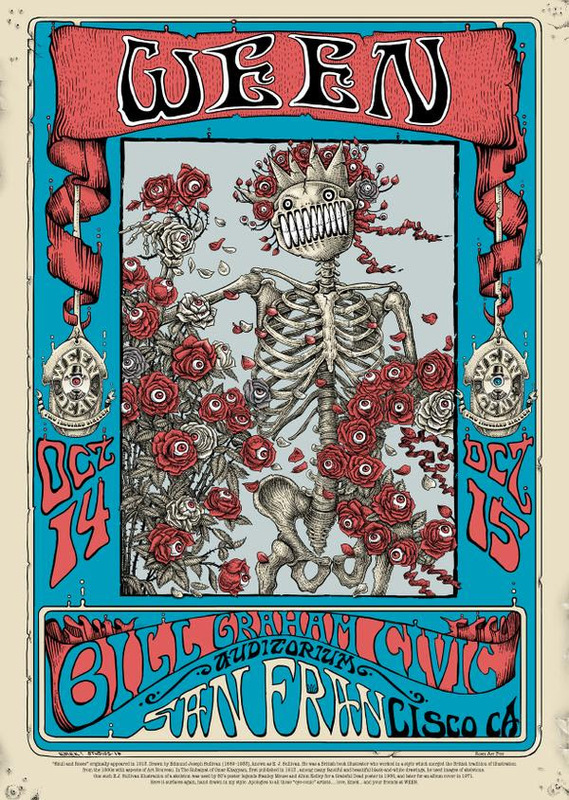 His new one for Ween is a 17″ x 24″ screenprint, has an edition of 111, and will cost $125. It goes up tomorrow (Tuesday, November 22nd) between 12pm-12:30pm Pacific Time. Visit EmekStudios.com.